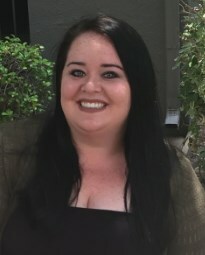 Maggie Bradford is a licensed professional counselor intern under supervision by Wanda Montemayor, LPC-S and has been with the TGA team since June 2018. Working with first responders, veterans, and their families has been a strong desire for Maggie since she began graduate school. Providing compassionate therapeutic care for those who serve our country and communities is her greatest passion. Maggie received her Bachelor of Science in Clinical Counseling from Saint Xavier University in Chicago Illinois in 2011 and went on to receive her Master of Arts in Professional Counseling from Olivet Nazarene University in Bourbonnais Illinois in 2016. Maggie’s counseling experience has been centered around adults and children surviving trauma, PTSD, depression, and anxiety. She also enjoys working with couples and puts high value on building self-care and resilience in all her clients. She is a strengths based therapist with a strong cognitive behavioral background who hopes to be providing therapy to this amazing community for many years to come.